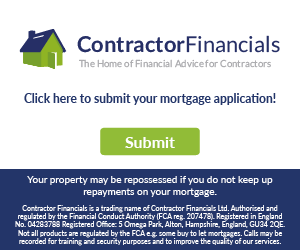 A contractor got a big rate rise after taking our advice on a previous article. He got back to us to tell us more. Recently we got a question from a contractor and we published the advice to him here on the article Do Agencies Have To Tell You Their Cut. Now, we’ve got the following response from him. First of all thank you for getting back to me last week. I have succeeded in a 30% contract renewal time rise and in the current climate its not bad. Just a quick question, the client can only give me 6 weeks extension at a time which they have done, however the agency have got back to me saying its only 4 weeks. Any ideas whats going on, or what they agency is up to? The first thing to say is that I’m pretty pleased that a contractor is able to get such a big rate rise of 30% from advice we’ve given him. However, I’m not quite sure what to tell him here as to what the agency are playing at. As it is an agency they are pretty surely playing at something. Agencies are up to all the tricks. Why would an agency say the contract is for four weeks when the client says it is for six weeks? The only thing I can think of is that the agency is pretty miffed at having to take a big rate cut in their commission money themselves and want an opportunity to replace this contractor. Of course, it may just be that they don’t have he budget after such a big rate rise. perhaps they had enough budget for 6 weeks at the old rate but that this worked out to only 4 weeks at the new rate after his big rate rise. However, I don’t really know. It’s just a stab in the dark. Anybody seen agencies do this before? Click on Comments below to tell us.